Batteries contain various hazardous materials – such as lead, mercury, cadmium, zinc, manganese and lithium – yet many authorities are putting them in landfill sites. Recycling batteries is currently at least ten times more expensive than burying them in landfill sites. Try to avoid the use of batteries by using mains electricity where possible. There is now a good selection of wind up radios and torches on the market. Use rechargeable batteries wherever possible. Even better look out for solar battery chargers. 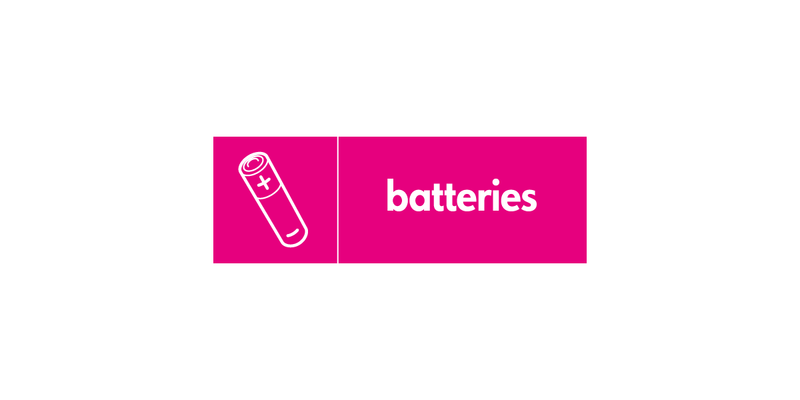 You can recycle household batteries at our Smugglers Way reuse and recycling centres.